With less than 50 days left to Election Day, we want to remind you that November 6th will be here sooner than you expect. Crisp mornings and cool nights don’t mean sweater weather, it means it’s time to get heated up by the hot campaigns we’ve got running all over our state! 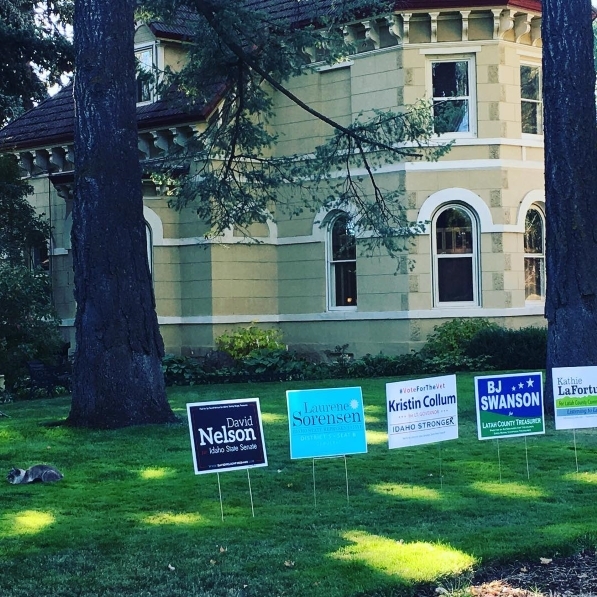 From the incredible turnout at every stop that Paulette Jordan makes, to the hard work by Lt Governor candidate, Kristin Collum, all of our terrific statewide races as well as the fantastic local candidates, there are plenty of great folks needing your support! Make your yard look like a NASCAR entry—signs for everyone! This past weekend I had the distinct honor of presenting at the TEDx Sun Valley event. My Talk is titled, “Was I Your Mother? Finding Love in Alzheimer’s,” and the video will be posted in December. It addresses the complicated mother/daughter relationship, with the extra degree of difficulty that only one of you knows it exists. My goal was to offer the hope that’s it never too late to find healing and love and laughter, if you can keep a positive attitude.